I have been searching for cookie recipes that were easy to make and included mascarpone cheese. 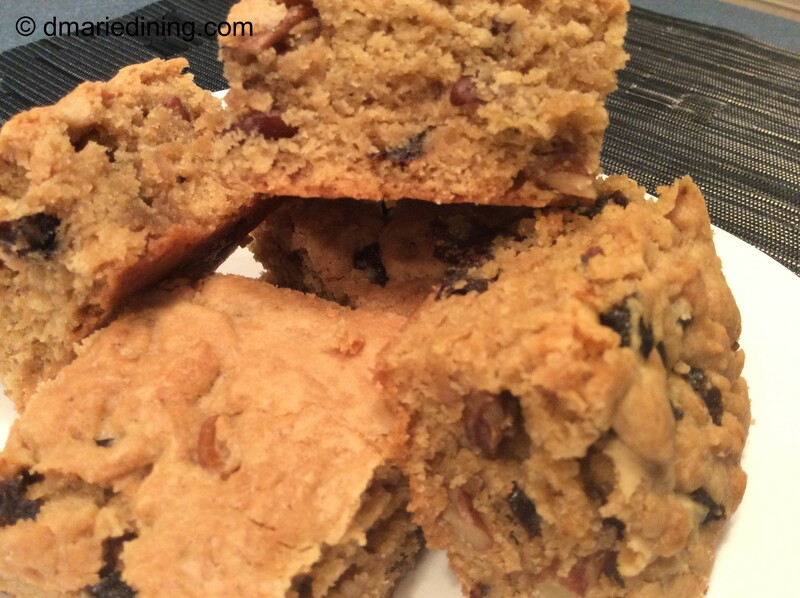 I found a couple of recipes but changed my mind and decided to come up with a cookie bar that included nuts and dried fruit. I could try to say the nuts and fruit made the cookies healthier than a regular cookie but who would I be kidding! I usually use pecans in my dessert recipes but I decided I wanted to use some thing different so I chose walnuts. Walnuts of course go great in any cookie. To compliment the nuts I used dried chopped plums instead of cranberries just because they looked interesting and they were on sale. Since I have been working on improving my baking skills I was pretty confident I could pull off making a tasty cookie bar. The issue would be whether or not my son would like them because they had both nuts and fruit. He is more of a chocolate chip cookie or oatmeal raisin kind of person. 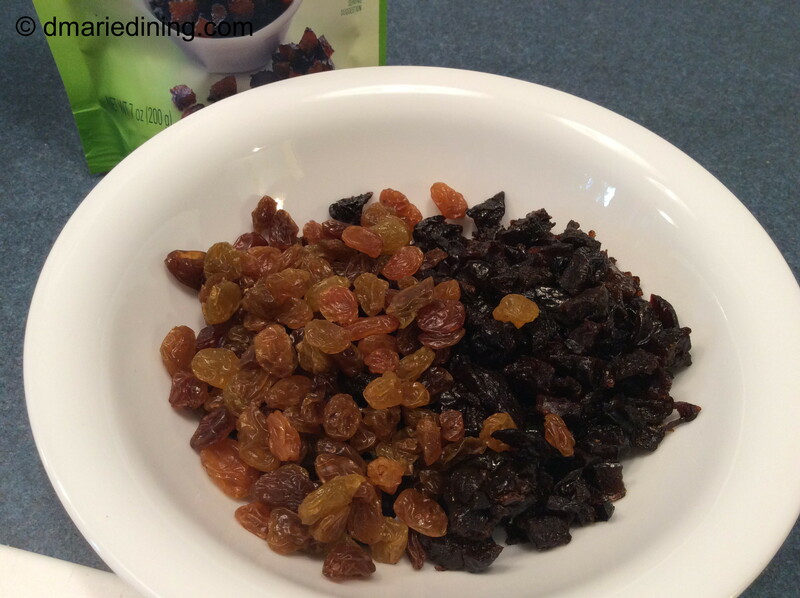 Nuts and dried plum? I was not too sure about that. I was pleasantly surprised that he really liked the cookie bars and didn’t even ask what was in them. One step closer to being a real baker! Melt butter over medium high heat then stir in brown sugar. Cook for 5 minutes stirring occasionally. Remove from heat and stir in sugar. Let mixture cool for 5 minutes. In a large bowl combine four baking soda and salt. In another bowl mix eggs, vanilla and cooled sugar. Slowly add flour to butter mixture and stir until well mixed. 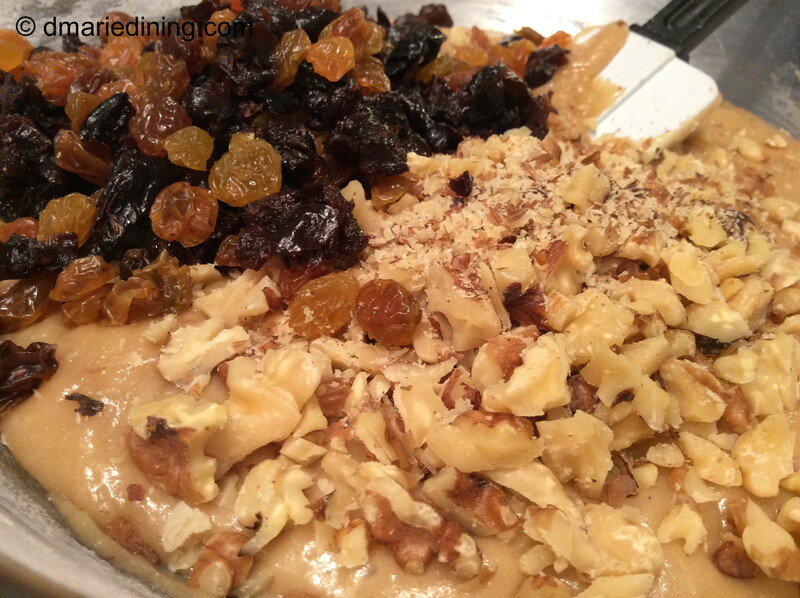 Stir in nuts and dried fruit. Line a small rimmed baking sheet with parchment paper. 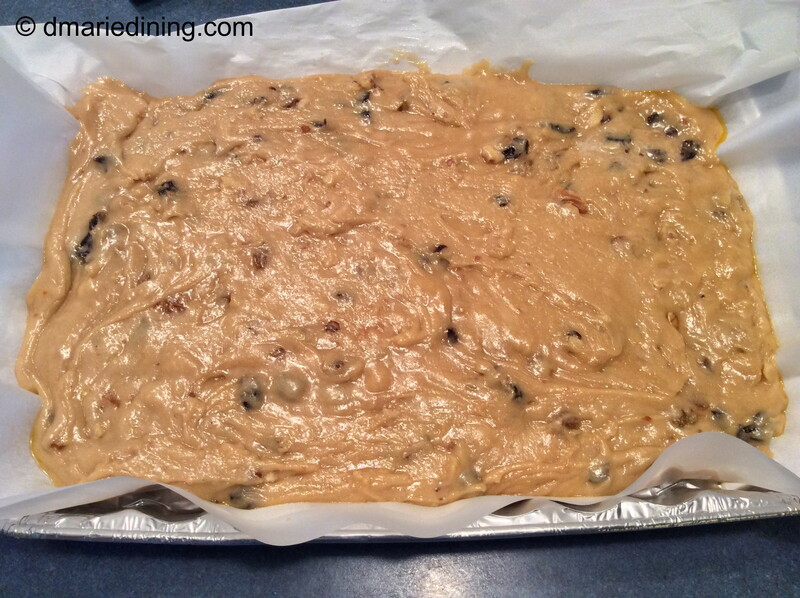 Pour cookie mix onto parchment paper and spread it out. Bake for 30 – 35 minutes. Let cool then cut into 2 inch squares.